Reconditioned Acorn stairlifts fitted from just £995! Acorn stairlifts are one of the best known makes of stairlift in the industry today. Their slimline designs have pioneered the way for other manufacturers to follow suit and come up with their own similar products. 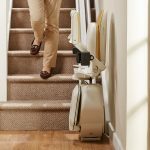 The Acorn straight stairlift has all the safety features you would expect along with comfort and reliability. 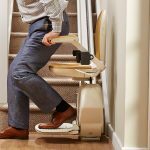 The Acorn stairlift was developed to provide years of reliable stairlift service and due to this its popularity has become world wide. 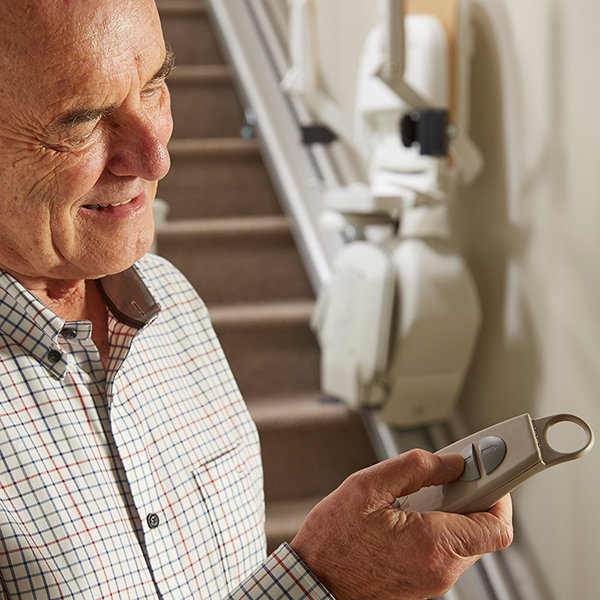 Using reliable rechargeable batteries, the Acorn stairlift uses modern circuitry to determine exactly how much power it needs for each trip. This will help to provide enough battery power for around 12 trips in a power cut. Our stairlift engineers carry replacement batteries on their vans so these can be replaced at short notice if required. When the Acorn stairlift reaches the top or bottom of the rail it automatically starts to charge the internal batteries. Clever software decides how much charge is taken so that the batteries are kept in perfect condition. 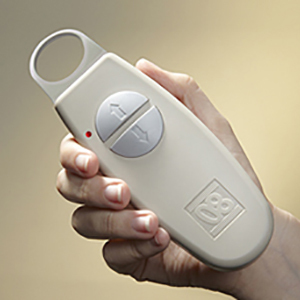 A set of batteries usually last 3 - 5 years and can be changed by an engineer during routine stairlift servicing. Even the most reliable products develop a fault at some point and the Acorn stairlift is no different, however, there is a simple digital display which shows the user with simple digits the exact current state of the stairlift.The Acorn stairlift is fitted with numerous safety circuits in the form of pressure sensitive edges. When any of these are activated the stairlift stops immediately and displays the relavant fault code. 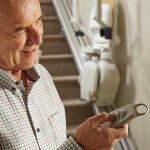 The list Acorn stairlift fault codes can be found on our blog post which also gives a simple solution for each error. 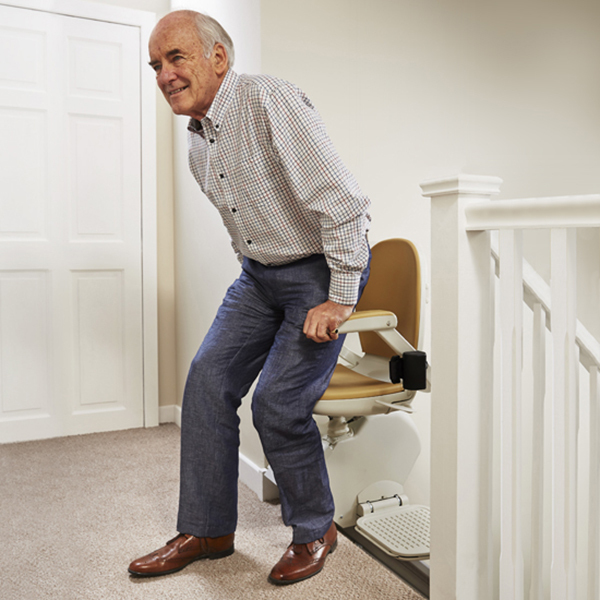 The Acorn stairlift has a slimline design that enables it to blend discreetly in to your home. 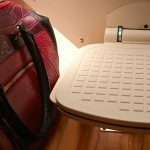 When not in use, the arms, seat and footrest all neatly fold away. With its ultra slimline design there’s plenty of room for other users of your staircase to use it as normal. 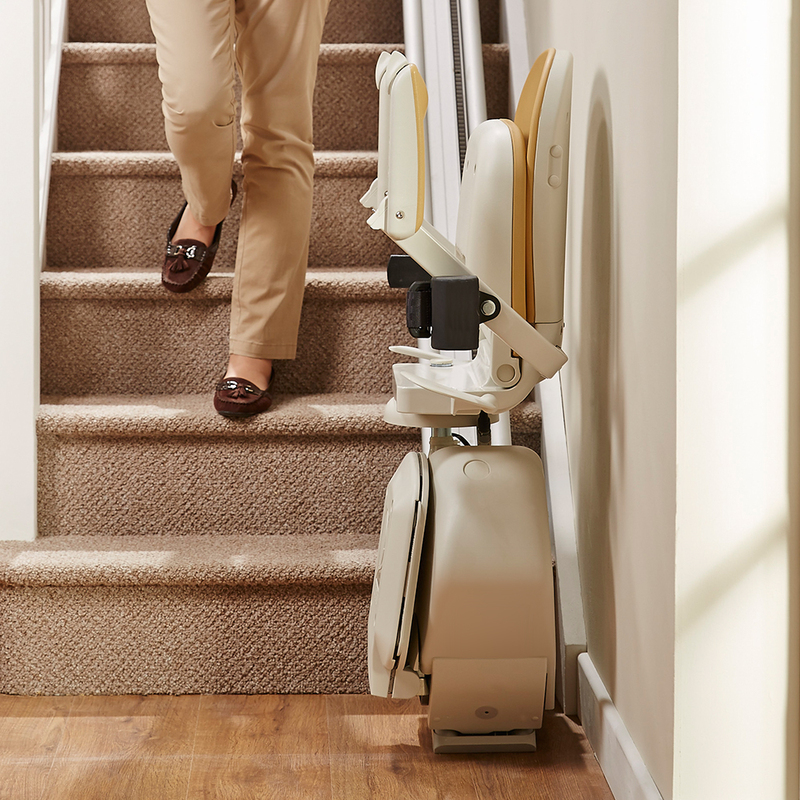 Once you arrive at the top of your stairs the Acorn Stairlift has an easy to use swivel seat. The large paddles on the side of the seat ensure this is an easy operation. Once the seat has turned round it conveniently locks into position so that you can alight safely and securely. 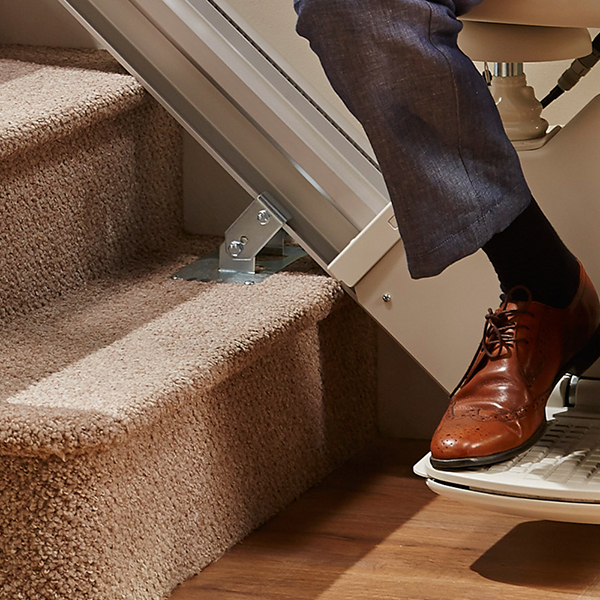 When the stairlift is in motion it is protected by a series of sensors positioned around the carriage and footrest. These ensure the user is safe at all times by bringing the stairlift to an immediate stop should they come in to contact with any obstruction. 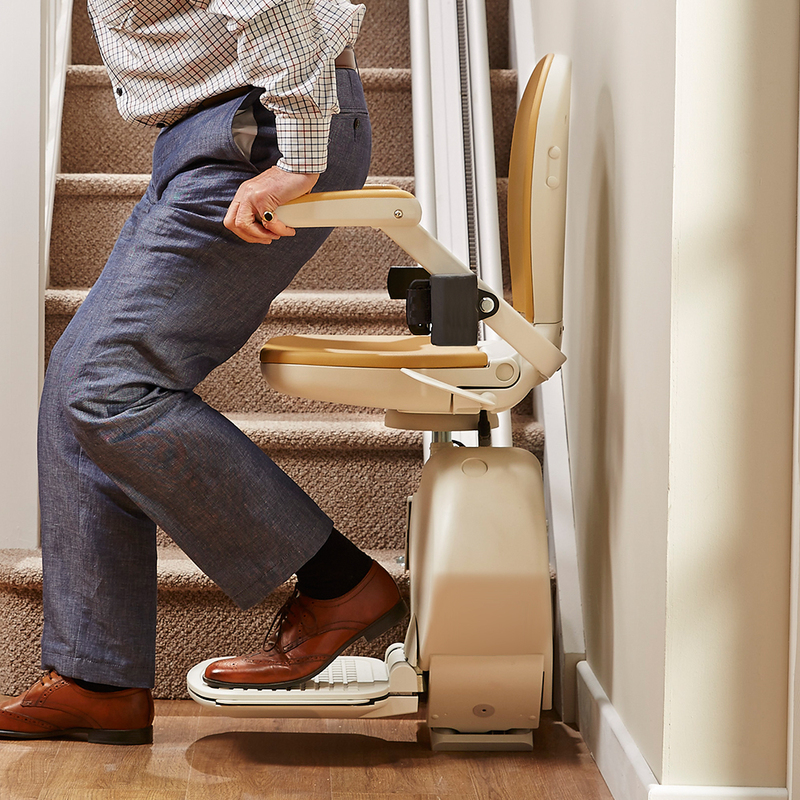 The Acorn stairlift comes with two easy to use remote controls. With its large buttons, the lift can be ‘called’ or ‘sent’ up or down the stairs when ever it’s needed, making it easy for multiple users to control the stairlift. Comfortable padded seat and backrest which is also hard-wearing and gives extra support. Simple dual direction control switch is easy to use. 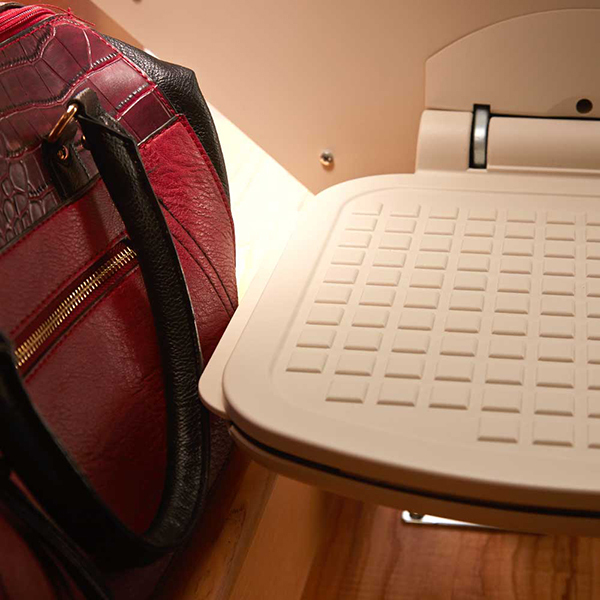 The stairlift seat swivels to allow the user to exit the lift without any discomfort. Simple digital display shows stairlift status and quickly diagnoses any problems.